Located in the heart of the magnificent Whitsundays, in tropical North Queensland, Australia and offering the ultimate in comfortable Whitsunday holiday apartments, at Whitsunday Vista Holiday Apartments offers something for everyone. Whether you want romance, adventure or relaxation, our Whitsunday resort is the perfect base for your holiday. The Whitsundays are Australia’s largest offshore island chain and consist of 74 forested islands with soft, sandy beaches lapped by crystal-clear, calm waters. Surrounding the islands is the Great Barrier Reef – the world’s largest coral structure and one of the seven natural wonders of the world. Because of this protection, the waters are very calm. 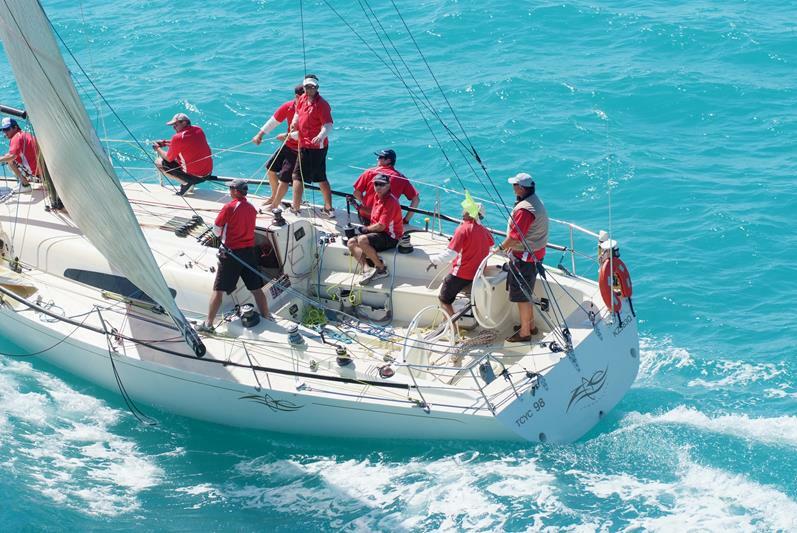 The safe, sheltered waters mean the Whitsundays are a haven for sailors and divers. at Whitsunday Vista Holiday Apartments are located in the mainland town of Airlie Beach – the stepping off point for the 74 Whitsunday Islands and Great Barrier Reef. In the heart of Airlie Beach is undoubtedly the freshwater lagoon, set in more than three hectares of lush, tropical gardens with views across Airlie Bay from the raised breakwater. There is also jet skiing, parasailing, sea kayaking and skydiving for the more adventurous. And if that’s too much adrenaline for you, there’s always golf! Enjoy a different Whitsunday experience and escape to the tropical refuge of the Conway Range. The Whitsunday Great Walk takes you on a 30km journey through Conway State Forest, starting at Brandy Creek, and finishing at Airlie Beach. Highlights of the Whitsunday Great Walk include wandering through majestic tropical rainforest, relaxing by seasonal creeks, and looking beyond coastal townships to the Whitsunday Islands. Relax on Whitehaven Beach, walk to Hill Inlet Lookout, snorkel at Border Island’s pristine fringing reefs, or explore the Aboriginal cave and lookout at Nara Inlet. With such stunning views, the Whitsundays have to be one of the best locations in the world to experience the exhilarating feeling of freefall. Feel the wind in your hair as you take a ride in a Tigermoth plane! For bookings or information on the best places to go, visit our Tour Desk, stocked full of information about the many different tours and activities available in the area. Let our friendly Tour Desk staff help you make the most of your holiday. The Whitsundays – so much to do! When you stay at Whitsunday Vista Holiday Apartments you are at the centre of one of the world’s greatest aquatic playgrounds, with our great range of unsurpassed Airlie Beach holiday packages. 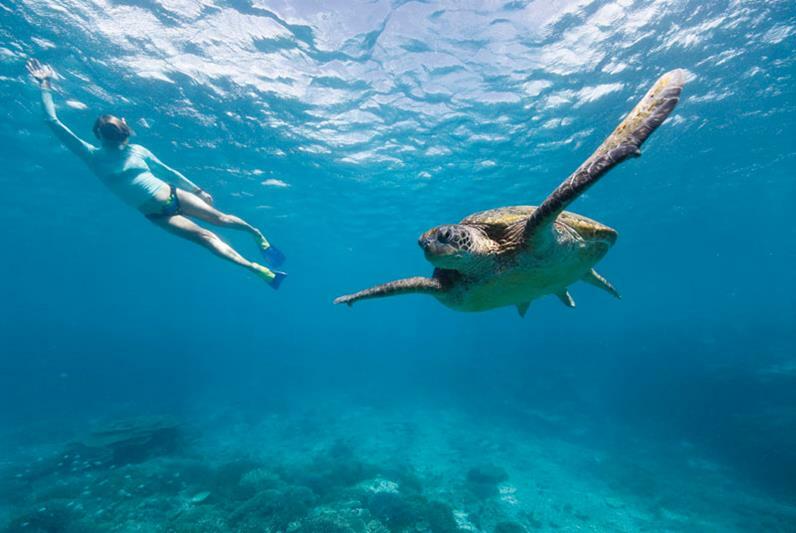 Whether you chose to sail or cruise on a power boat, scuba dive or snorkel, fish or swim at the Great Barrier Reef – there is something for everyone in the Whitsundays. There is also jet skiing, parasailing, sea kayaking and skydiving. And if that’s all too much for you, there’s golf! At Whitsunday Vista Holiday Apartments we have a Tour Desk stocked full with information about many different tours and activities to complement our comprehensive, affordable Airlie Beach holiday packages. Let our friendly Tour Desk staff help you make the most of your holiday. Situated in the heart of the magical Whitsundays, at Whitsunday Vista Holiday Apartments are one of the most conveniently-located hotels Airlie Beach has to offer. at Whitsunday Vista Holiday Apartments have a range of one and two bedroom, self-contained apartments all with stunning views of the Coral Sea from your own private balcony and the most spectacular sights on offer at hotels in Airlie Beach. at Whitsunday Vista Holiday Apartments’ Tour Desk can also help you with hiring a car. Major operators are represented in the Whitsundays such as Avis and Hertz. Have fun getting around the Whitsundays with Fun Rentals – they hire jeeps, Scoot Cars, Mini Mokes, motorbikes, scooters and bicycles. Everything is included in the price including insurance and road-side assistance. 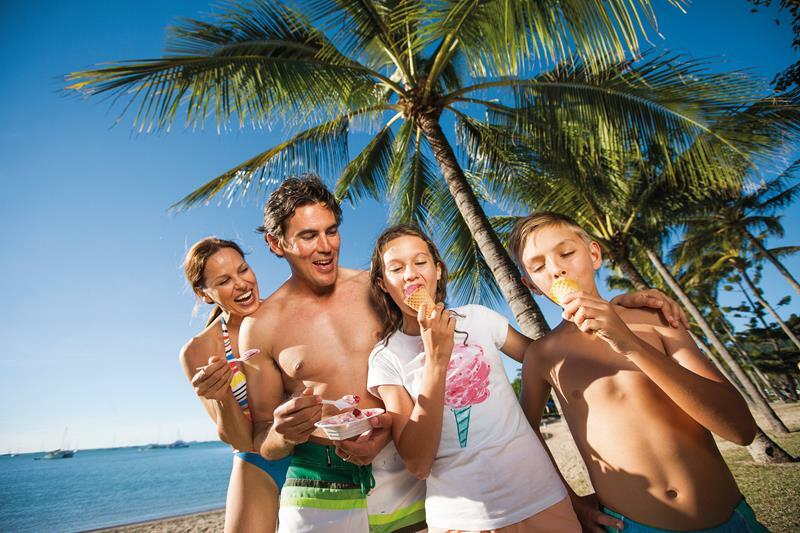 Whitsunday Shuttle Service offers a range of luxury coaches from 13 to 50 seats. Specialising in pre-booked transfers, including from Whitsunday Coast Airport direct to your accommodation, for individuals and groups. Modern, air-conditioned vehicles. The affordable luxury alternative. Transfers from Whitsunday Coast Airport to Airlie Beach and from at Whitsunday Vista Holiday Apartments to Shute Harbour Ferry Terminal or any regional location. Whitsunday Limousines will deliver you there in style and comfort. Below are some of the most popular attractions. Air Whitsunday operates a fleet of De Havilland Beaver amphibious floatplanes and has made many developments and enhancements to their fleet. 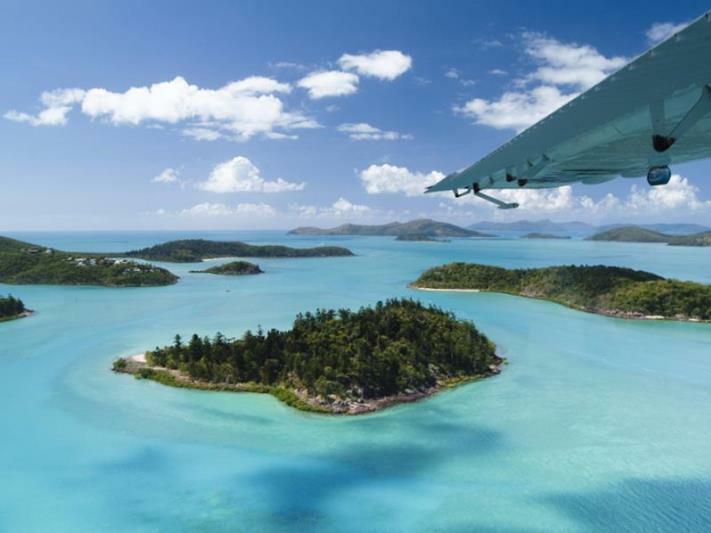 The company – which has been operating in the Whitsundays since 1973 – also operates the luxurious Cessna C208 caravans providing passengers with air conditioning and whisper-quiet comfort. Personalised helicopter tours and transfers on board the Kawasaki KH-4 ‘Bubble’ helicopter, which is cost effective and has the flexibility to carry up to three adults or two adults and two children. It has excellent visibility with the clear Perspex ‘bubble’ as the front view and the ‘doors off’ option for window seats. Cruise Whitsundays focuses on quality, safety and fun and has developed a fantastic selection of outstanding day cruises that make the most of the beautiful Whitsundays, including the Great Barrier Reef, Whitehaven Beach and the stunning Whitsunday Islands. Dive Time is a specialist day-trip operation dedicated to taking you to all the best diving and snorkelling sites in the Whitsundays. For those who have never dived, Dive Time will introduce you to the wonders of the underwater world on a safe and fun introductory dive. If you’re a certified diver, they will take you to the best dive sites to explore what the waters of this magnificent area have to offer. The 41ft dive ‘cat’ is broad, stable and comfortable with a large, protected sundeck, freshwater deck rinse-down and interior shower and toilet facilities. Voyage to the heart of the Great Barrier Reef daily aboard Fantasea’s comfortable air-conditioned high speed catamaran. The whole family can enjoy an adventure-packed day at Reefworld including coming face-to-face with schools of tropical reef fish. Be amazed at the spectacular coral formations, explore easy-to-follow snorkelling trails or simply relax on the sundeck and enjoy the 360 degree view of the Great Barrier Reef. Fantasea Adventure Cruising is proudly Australian-owned and its focus is on quality products and excellent service. Its fleet of modern, air-conditioned high-speed catamarans provide smooth and comfortable passage to the outer Great Barrier Reef and throughout the Whitsunday Islands. FishDive Charters & Eco Tours is located at Hydeaway Bay/Dingo Beach in the Edgecumbe Bay region stretching from Bowen to Gloucester Island – a fishing haven! The area includes serene Sinclair Bay, the beauty of the northern Whitsunday Islands and the mighty Gregory River with its many creeks, river beds and sand bars. Free Spirit Sailing Tours provide a range of sailing tours including overnight skippered charters for groups of up to eight guests throughout the Whitsunday region (usually four or more nights) as well as day or evening private and corporate events such as team-building, mini conferences, staff rewards, birthday and family functions. 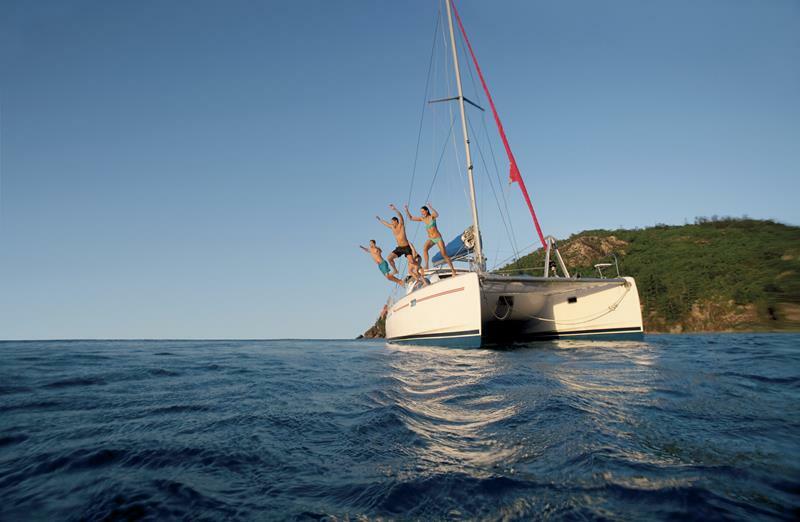 Illusions is a comfortable 12 metre catamaran sailing daily from Abel Point Marina to the beautiful fringing reefs of the Whitsundays at Blue Pearl Bay, Hayman Island, and Langford Island and Reef. Jillian2 Fishing Charters – first to the fishing ground, last to leave! The 12 metre Cougar Catamaran, which cruises at about 18-20 knots, is fitted with state-of-the-art marine technology and contains a spacious back deck. A great day’s sailing for you and your companions. Visit two of the Whitsundays’ most pristine locations aboard this tourism award-winning vessel. 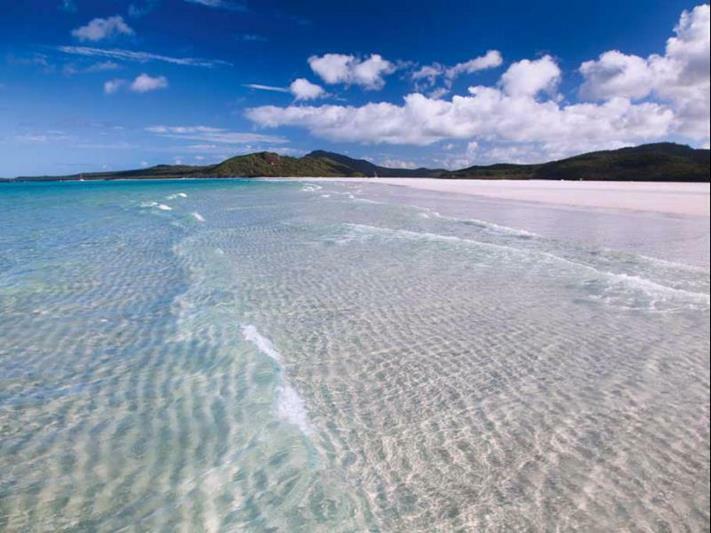 Beautiful Whitehaven Beach is an amazing 7km of white silica sand with the beautiful Hill Inlet Lookout at one end. Mantaray Bay, meanwhile, is a marine wonderland of colourful corals and tropical fish where you can scuba dive, snorkel and swim. Or just lie on the spacious sundeck and soak up the atmosphere. Maxi Ragamuffin’s one-day Whitsunday Island Sailing Adventure is a blast aboard one of the fastest Maxi Yachts in the area. But at 80 feet long, she is also one of the largest yachts and thus very stable and comfortable in any sea conditions. Let Ragamuffin’s crew sail you to unforgettable day-trip destinations. The tour is Eco Certified. Relax on Whitehaven Beach, walk to Hill Inlet Lookout, snorkel at Border Island’s pristine fringing reefs and explore the Aboriginal cave and lookout at Nara Inlet. Ocean Rafting’s focus is adventure, participation, education and the natural environment. It’s exciting, different and fun! Salty Dog Sea Kayaking’s staff have an intimate knowledge of the Whitsunday region and enjoy sharing it with guests. Join them for an unforgettable experience on a fully-guided trip or extended expedition. You can choose a tour from the schedule or they will customise one to suit your requirements. 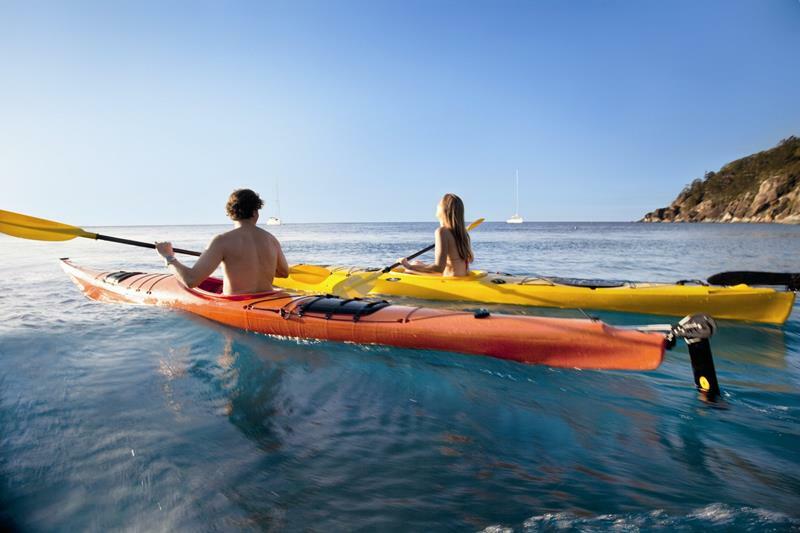 Alternatively, explore the islands at your own pace with a ‘freedom’ rental kayak, camping under the stars or stopping the night at an island resort on the way. With such stunning views, the Whitsundays have to be one of the best locations in the world to experience the exhilarating feeling of freefall. The experienced crew – they have all done at least 5,000 skydives – make sure you have an enjoyable skydive from the Cessna 182, which takes only two passengers at a time so there is no feeling of being rushed. You can also capture the experience on video for an additional charge. Whitehaven Xpress is a cruise with a difference with not one but three relaxing destinations. Bushwalk at Hill Inlet with fantastic views across Whitehaven Beach and the inlet from the lookout. Then it’s time for a swim or walk on world-famous Whitehaven Beach before enjoying a gourmet BBQ under the shade of the trees. Then it’s around to Mantaray Bay where you can swim or snorkel over spectacular coral and tropical fish. There’s snorkelling tuition for the inexperienced and if you don’t want to get wet, there’s the glass-bottom boat from which to view the abundant marine life. The Whitsunday Crocodile Safari takes you into prime crocodile country along the Proserpine River, where you can see these amazing animals in their natural habitat. The day also includes a tour through freshwater wetland habitat, melaleuca forest and a mangrove ecosystem. Locally owned and operated, the tour is Advanced Eco Certified and has a distinct nature focus. As well as crocs, you will spot many different birds, reptiles, mammals and indigenous flora. Whitsunday Tigermoth Adventures – feel the wind in your hair as it whistles through the rigging wires of the vintage Tiger Moth bi-plane’s wings. The old Gipsy Major engine purrs along as you ‘dance with the clouds’ in an aircraft that some regard as the ‘ballerina of the skies’.